See also FID Centenary: Publications and Sources. - HyperOtlet project and critical, digital edition his Traité de documentation. - Alex Wright. Cataloging the World: Paul Otlet and the Birth of the Information Age. Oxford University Press, 2014. - Vom Buch zur Datenbank. Paul Otlets Utopie der Wissensvisualisierung, ed. by Frank Hartmann. Berlin: Avinus, 2013. - M. Buckland. Interrogating spatial analogies relating to knowledge organization: Paul Otlet and others. Library Trends 61, no 2 (Fall 2012): 271-285. - Mundaneum: Archives of Knowledge,, translated and adapted by W. B. Rayward. Graduate School of Library and Information Science, Univ. of Illinois, Urbana-Champaign, 2010. Online. Based on Mundaneum: Les archives de la connaissance. Brussels: Impressions Nouvelles, 2008. - Molly Springwald. Inside the Mundaneum. Triplecanopy Issue #8. - Edward Vanhoutte. Paul Otlet (1868-1944) and Vannevar Bush (1890-1974). edwardvanhoutte.blogspot.com/2009/03/paul-otlet-1868-1944-and-vannevar-bush.html. - Alex Wright on Otlet. "The Web time forgot" New York Times June 17, 2008, D1. - Levie, Francoise. 2006. L'homme qui voulait classer le monde: Paul Otlet et le Mundaneum. ["The Man Who Wanted to Classify the World: Paul Otlet and the Mundaneum"]. Brussels: Les Impressions Nouvelles. ISBN 2-87449-022-9. Publishers description and photos. This readable and well-illustrated biography, written in French, is based on archival resources and complements her award-winning documentary film with the same title. - The Man Who Wanted to Classify the World: From the Index Card to the World City, the Visionary Life of a Belgian utopian, Paul Otlet (1868-1940). Documentary by Francoise Levie. Sofidoc Production, 46 rue Colonel Bourg, B-1030 Brussels, Belgium. Available in English and French versions. Publisher's description. - W. Boyd Rayward's Otlet page. - Wikipedia articles on Paul Otlet in English and in French. - Cosmopolis. Special issue on Otlet. 2014, issues 3 & 4. - Alex Wright: Forgotten Forefather: Paul Otlet Boxes and Arrows Nov 10, 2003. - Day, Ron. 2001. The Modern Invention of Information: Discourse, History, and Power (Southern Illinois University Press, 2001) Analyzes historically important 20 th century writings about "Information." See chap 2 for Otlet. - Anthony Judge and Joel Fischer. 2001. Union of International Associations -- Virtual Organization: Paul Otlet's 100-year Hypertext Conundrum? Other related materials attached at end. Jean-Max Noyer and Alexandre Serres. 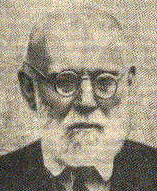 De Paul Otlet a Internet ["From Paul Otlet to Internet via Hypertext"]. A chronology. - For articles about Otlet, his work, and his successors see Historical Studies in Information Science, 1998. - Documentary by B. Rayward (speaking English) and F. Fueg (speaking French): Alle kennis van de wereld (Noorederlicht, 9). Available from VPRO, P.O Box 10, 1200 JB Hilversum, The Netherlands, and also online. - Cent ans de l'Office International de Bibliographie : 1895 - 1995 ; les premisses du Mundaneum. - Mons : Editions Mundaneum, 1995. ISBN 2-930071-05-2. (Review in German). - Rayward, W. Boyd. 1994. Visions of Xanadu: Paul Otlet (1868-1944) and hypertext. Journal of the American Society for Information Science 45 (1994): 235-250. The "monographic principle" of IIB as an anticipation of hypertext. - Buckland. Michael. 1991. Information retrieval of more than text. Journal of the American Society for Information Science 42 (1991): 586-588. Discusses Otlet, multimedia, and the wide scope of documentation. - Rayward, W. Boyd. 1990. International Organisation and Dissemination of Knowledge.Selected Essays of Paul Otlet, Edited and Translated By W.Boyd Rayward. Amsterdam: Elsevier, 1990. www.ideals.illinois.edu/handle/2142/4004. - Universita degli Studi di Siena Mundaneum webpage.